Online casinos in Alberta continue to grow in popularity, with the province considered the home to Canada’s oldest and best casinos. Gambling in Alberta started as early as the 1920s. Then, Albertan gamblers enjoyed organized gambling in their communities where they wagered on casino games such as bingo and horse racing. After just a few decades, casino games such as sweepstakes, lotteries and electronic gaming were introduced in the province. In the current, Albertans can enjoy gambling on the go at the best casinos online in Canada. Read on. Why Gamble at Online Casinos in Alberta? If you reside in Alberta, you need not worry about gambling online since our recommended top online casinos are available and are regulated by international gaming authorities. Internet gambling sites provide Albertans with a great deal compared to land-based casinos. The best advantages of all is that you get to enjoy gambling from the comfort of your sofa or anywhere else, with friends, family or alone – the choice is really yours. Online casinos offer AB online gamblers with the best bonuses including free spins and promotions. Albertan gamers get to enjoy also VIP incentives, quality software and a wide range of casino games which can be enjoyed on free play or for real money. Our preferred casinos for Albertans cater for Canadians as a whole and for this reason you get to play using Canadian dollars via different banking methods offered by the online casinos. Gambling at the best casinos online is safe and your information is kept confidential as the casinos use modern SSL encryption technology. Maple Casino is your top guide when it comes to finding the best online casinos in Canada. 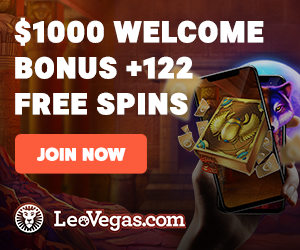 All the casinos online listed on our website are researched and reviewed by our top experts who have been in the game for a fairly long time. We have a special vetting process which we use to try and test the best casinos online. Some of these rogue casinos are also reviewed by previous players for such misconduct, and these are sites you should avoid by all means. Gambling in Alberta dates way back, as we have already mentioned. Some of the oldest land-based casinos in Alberta date back as far as the 60’s. Below we’ve provided a quick read-through timeline for our readers as we explain the laws associated with gambling in the province. 1967 – The first charitable casino in Alberta was opened at the Edmonton annual fair. 1980 – The first provincial and brick-and-mortar casino was opened in Calagary. 1981 – The first provincial land-based casino was opened in Edmonton. 1996 – Alberta Gaming and Liquor Commission was formed by several regulatory bodies. Since the commission was formed in 1996, it was and still is responsible of overseeing alcohol-related activities and all gaming activities in Alberta. The province now has about 24 licenced brick-and-mortar casinos AB players can choose from. Calgary alone has seven different brick-and-mortar casinos, followed by Edmonton with six. The legal gambling age in the province is 18 and more years. Moreover, Albertans can gamble anywhere they prefer, be it online or at land-based casinos. But, for the best gambling experience and casino benefits, we recommend gambling at our best internet casino sites. Just as long as you’re 18! Maple Casino is 100% for responsible gambling and this applies online as well. Play responsibly!